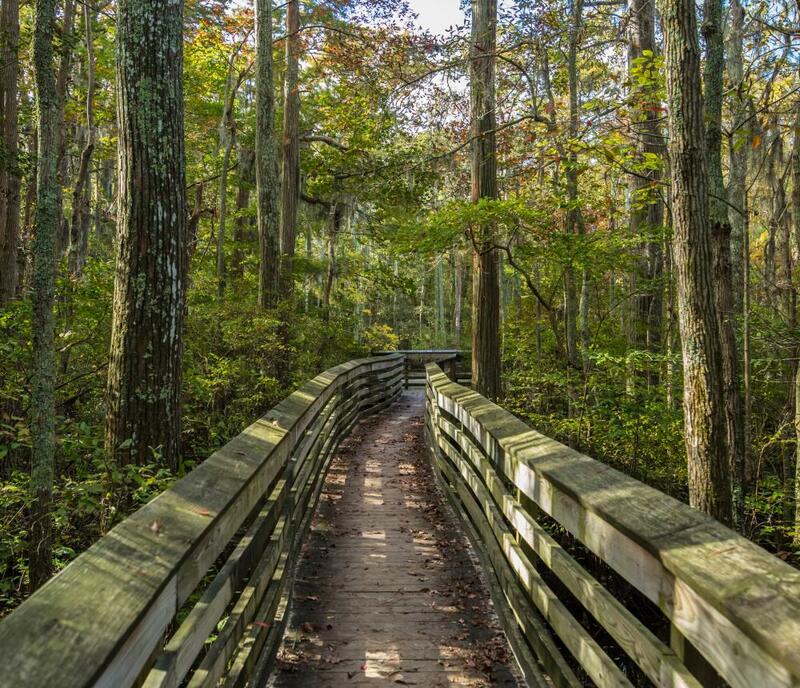 First Landing State Park offers opportunities to explore a unique habitat featuring lagoons, large cypress trees and rare plants. 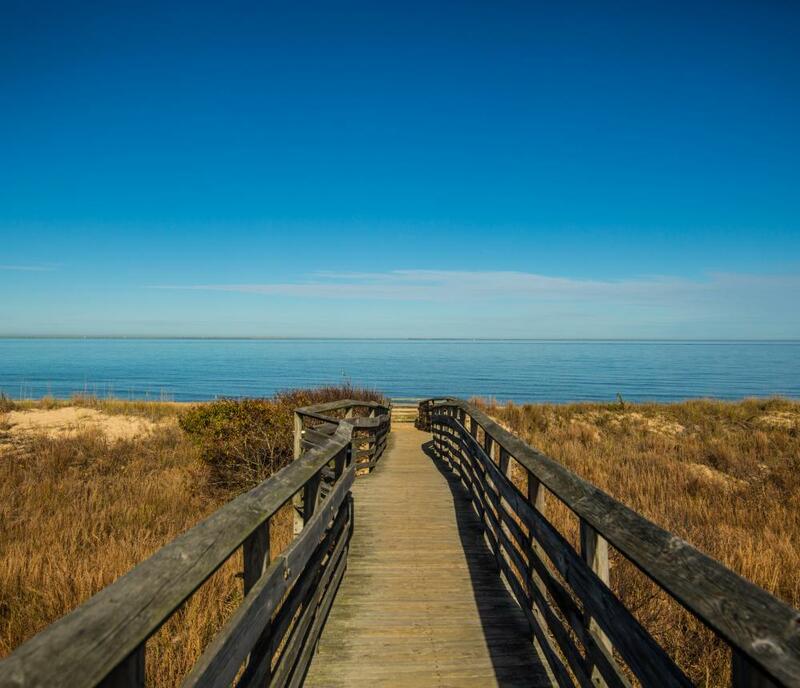 More than 19 miles of hiking trails wind through the natural area, guided kayak ecological tours allow exploration of the marshes and bays, and the visitor center exhibits explain much about this coastal environment. 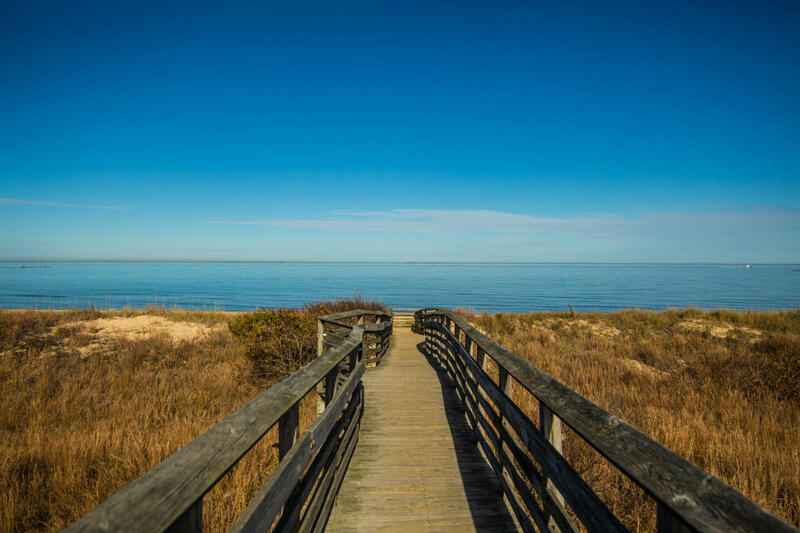 Climate-controlled cabins, campsites, picnic areas, a swimming beach, boat ramps, kayak rentals and tours, and a bicycle trail are offered in the park. 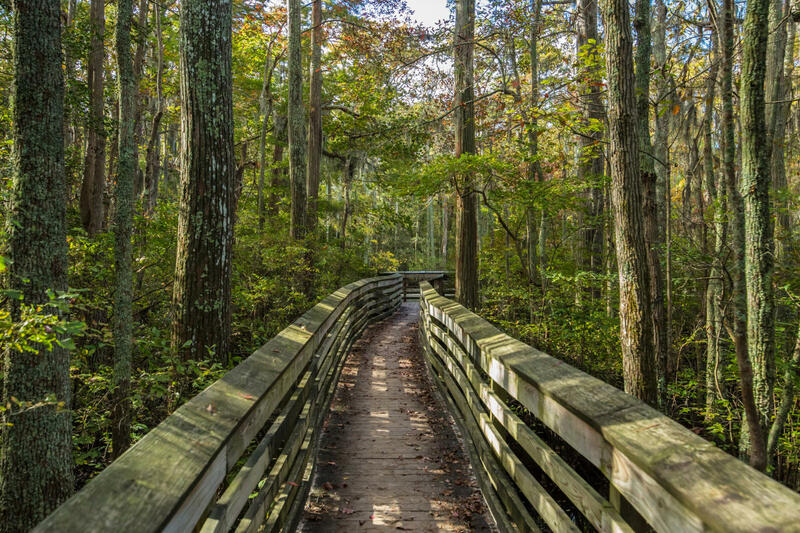 Many of the parks facilities and amenities are accessible including, cabins, campgrounds, picnic areas, trails, the Chesapeake Bay Center and the Amphitheater. Location: U.S. 60 at Cape Henry in Virginia Beach. Over 200 Campsites and 20 Cabins.